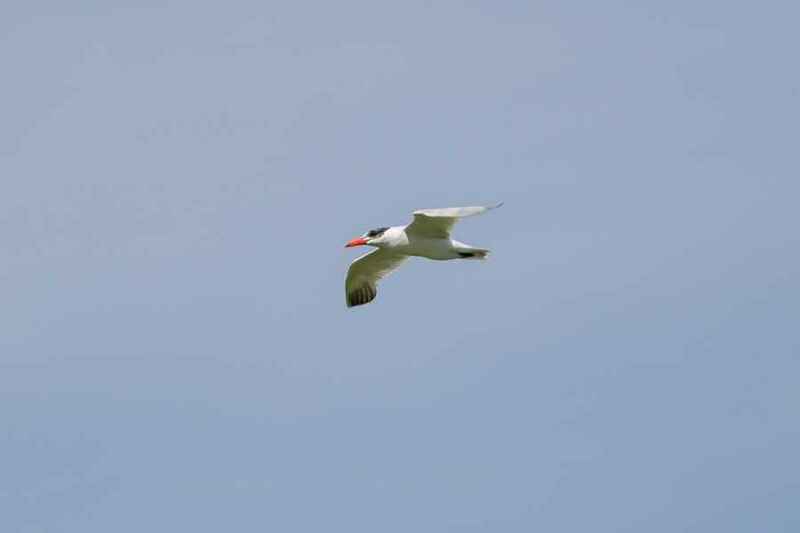 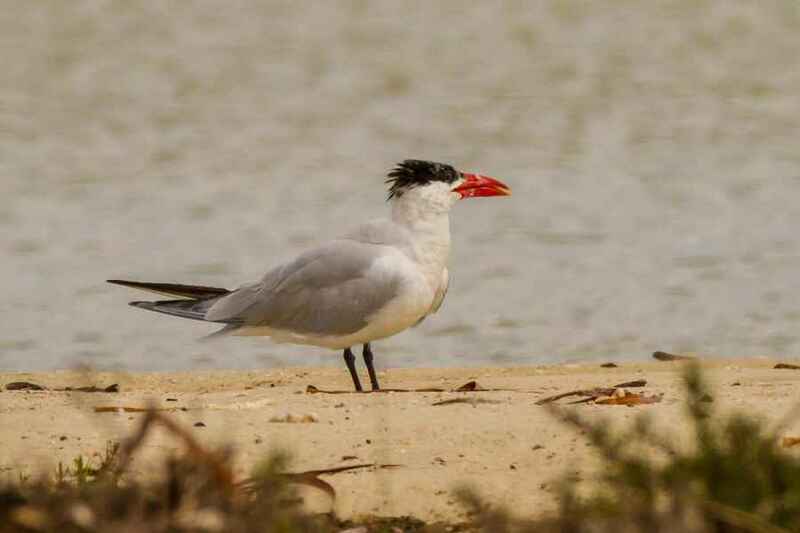 The Caspian Tern is shown in the Field Guides as never coming close to Portugal, but we see them every year in the Algarve when they're on passage to and from their breeding grounds farther north. 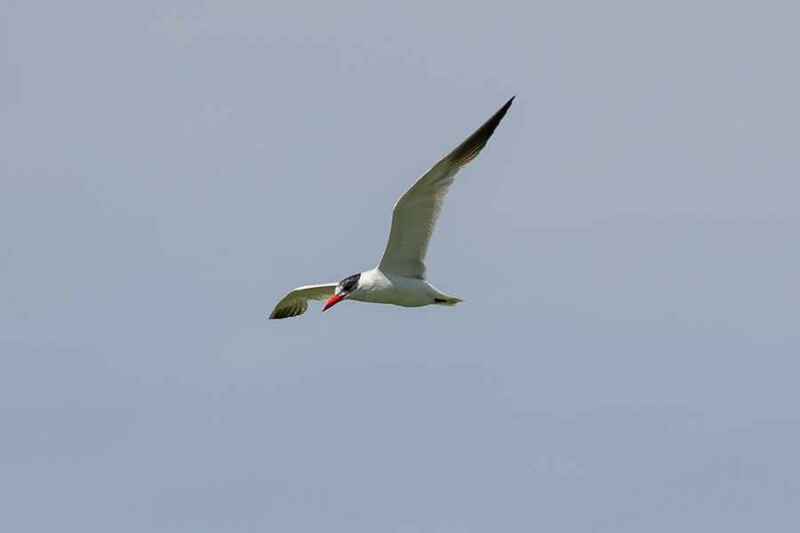 The largest Tern to be seen in Portugal, it has a large heavy red bill with a small dark tip, a straight back to the head and a short notched tail. 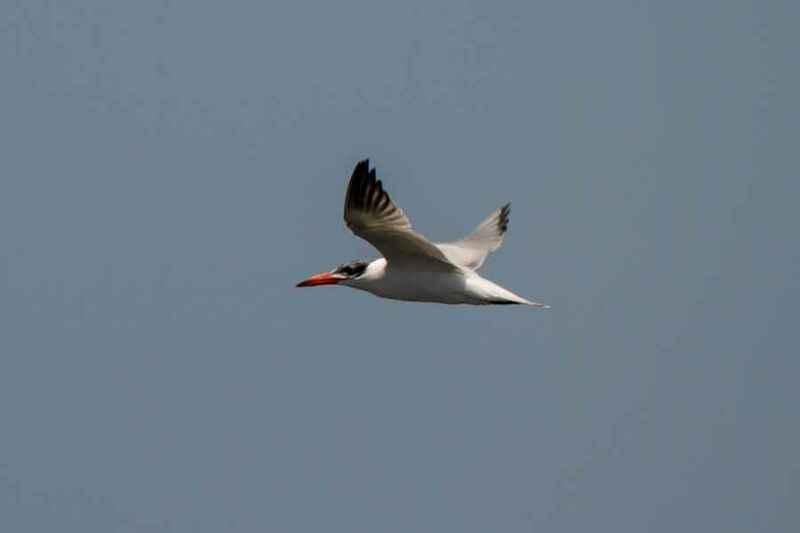 The head is usually streaked when passing Portugal and turns totally black only when breeding.